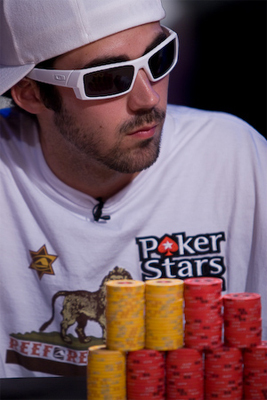 As of July 22, 2015, the overall Global Poker Index (GPI) rankings see Jason Mercier leading the worlds Top 300 live tournament players. The Florida-based poker pro has just leapt over Anthony Zinno. The latter recently sit on the same seat for two consecutive weeks. This is an impressive comeback that actually gives a fresher look to Merciers resumé. Merciers last atop the rankings is dated back in September 2013. This week, he holds 4,020.73 points. Right close behind him is Zinno with his 3,895.66 points. Dan Smith and Scott Seiver are respectively ranked 3rd and 4th position. Stephen Chidwick rounds out the Top 5. Speaking of the GPI Player of the Year race, the Top 3 remains the same as last week. Zinno secures the leads with 4,192.92 points. Connor Drinan comes second ahead of 3rd-position Scott Seiver. Byron Kaverman has made a big leap up to 4th, relegating Russias big man Dzmitry Urbanovich to 5th. Among the new title contenders who have just entered the Top 300 arena include Justin Young. He is now ranked 218th position thanks to his 15th-place finish in the Venetian Deepstack Extravaganza III. As for the biggest gains of the week, November Niner Joe McKeehen is worth a mention with his 125th position. What we can expect next week is a modest quake with the poker tournaments results from the ongoing Brazilian Series of Poker held in Sao Paolo, and the WSOP National Championship (held at the Harrah's Cherokee).